A commercial driver identified as Donatus, from Enugu state, on Tuesday stabbed two FRSC officers in Otukpo, after been pulled over for reckless driving, Online User reports. Donatus, on his way from Okigwe in Enugu to Lafia in Nasarawa State with a blue Toyota Primera, was halted by the FRSC officials, who seized his license and vehicle particulars for reckless driving. . However, in an attempt to escape, he repeatedly stabbed the two officers that approached him and drove off. 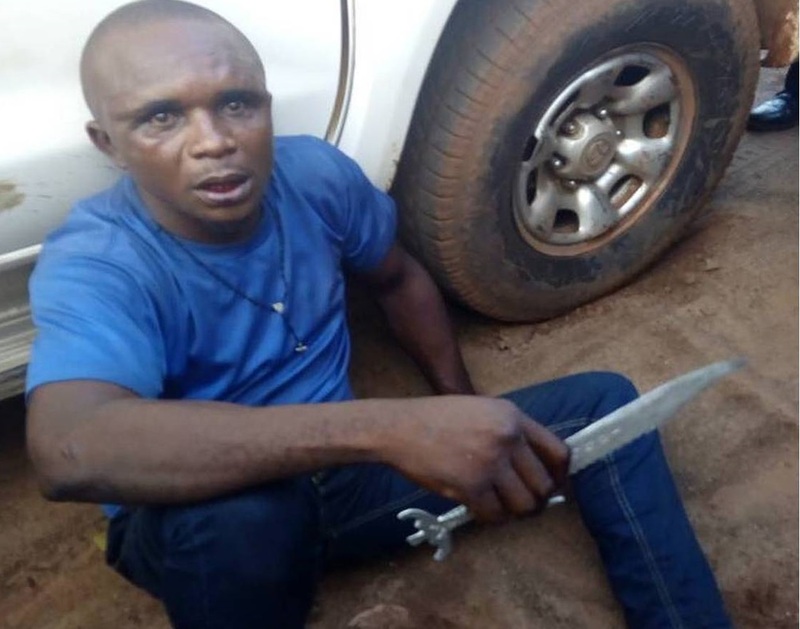 He was later traced and arrested by members of a local vigilante group alongside some officers of FRSC Otukpo branch. .
Donatus was handed over to the police with two daggers found on him. Speaking, Donatus said he didn’t plan to kill the officers. .
“I was only trying to catch up and return to Okigwe as soon as possible because I am supposed to pay up a loan I took sometimes ago in order to avoid my car from being impounded. It was what I used as collateral. I was only angry and trying to protect myself,” the driver claimed. It was gathered that the two officers are receiving treatment at undisclosed hospital in the area.